Sometimes work takes you to surprising places. 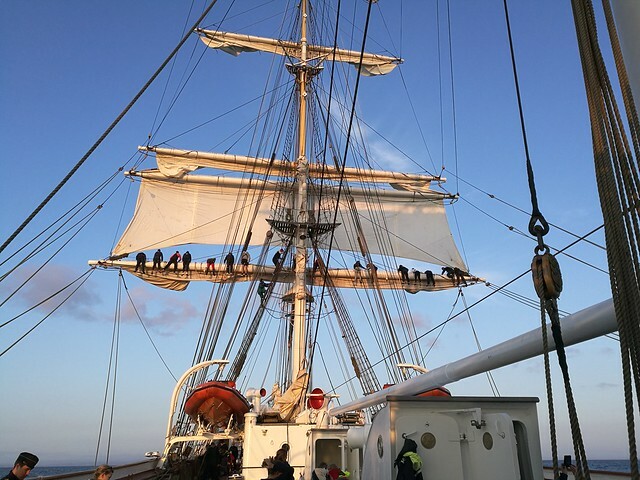 Last week, together with almost 100 other trainees, I boarded a three-masted steel barque Statsraad Lehmkuhl, built in 1914, and began a 6-day sailing voyage through the North Sea . 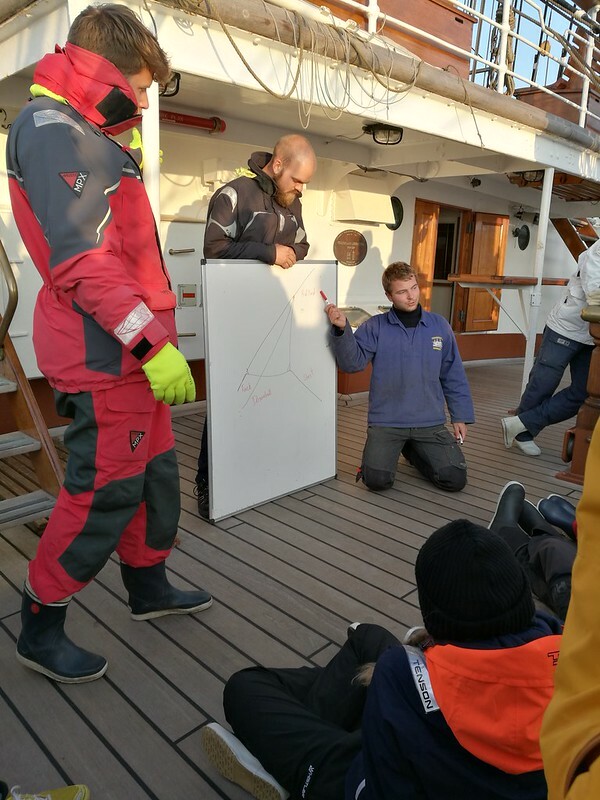 The sailing voyage from Bergen to Shetland islands was organized by TSYK merilukio, a local high school with maritime orientation, in order to celebrate its 10th anniversary. In addition to teachers, and current and graduated students from the school, I was joined by maritime students and personnel from Aboa Mare (a Maritime Academy and Training Center in Turku) and Novia University of Applied Sciences, a fellow marine biologist, researchers from The Forum Marinum Maritime Centre and two naval cadets from the Finnish Naval Academy. 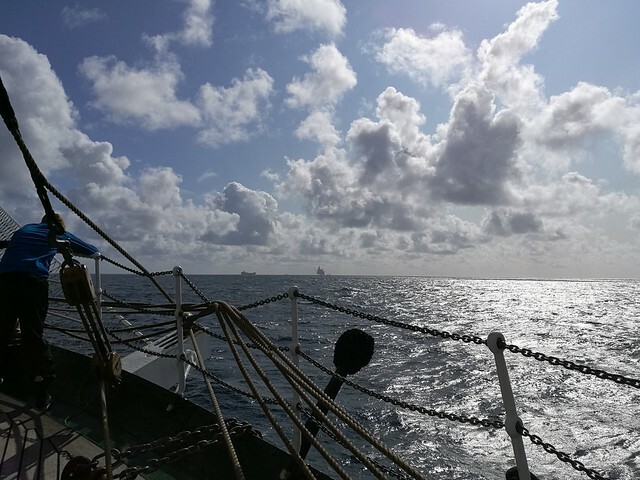 On Sunday 26.8, we set sails in Bergen, Norway and began our almost 500 nm long voyage. Our group, consisting of 90-something members, arrived to Bergen harbour on Sunday at 10 am. 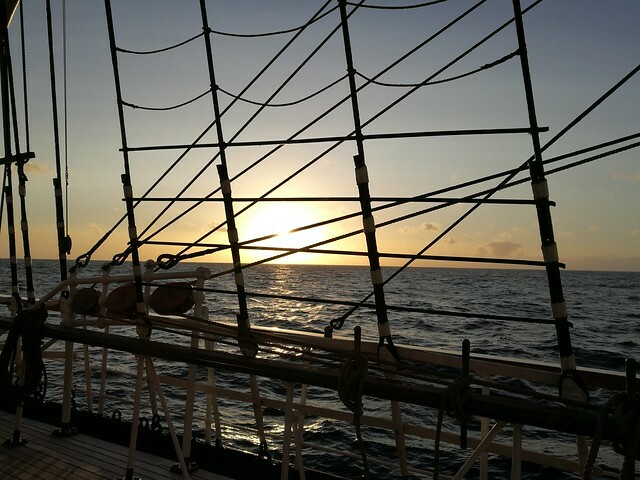 Despite of our expectations, we did not set sails immediately but were introduced to the ship’s safety instructions and rules first – as is appropriate. 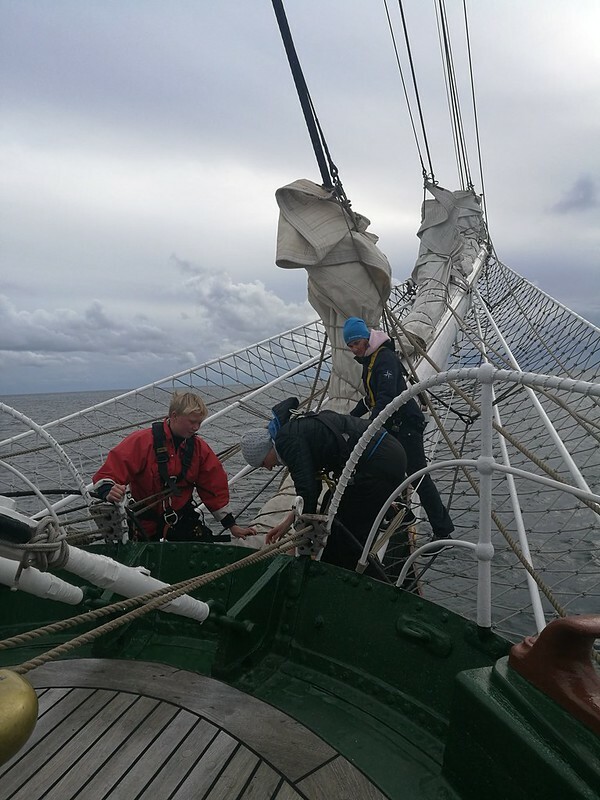 Our first activities at sea was a mast climbing exercise. On board we were accustomed quickly to the ships daily routines. 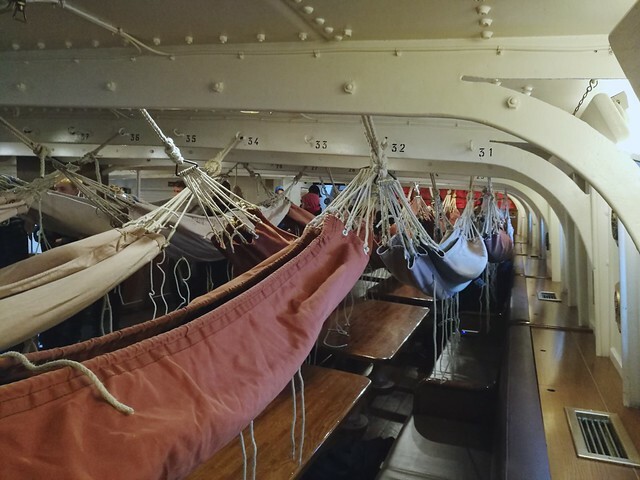 During the voyage, we slept in hammocks, which turned out to be surprisingly comfy. We participated as crew and actively took part in all aspects of sailing the vessel. Also training on various sailing-related topics was offered whenever possible. During our first day, our group was placed in 3 watch groups and each of us worked 2 * 4 hours a day. I was placed in a team called blue-watch, which worked during 08.00-12.00 and 20.00-24.00. During the voyage, one could participate in the vessel’s activities as much as one could and wanted. 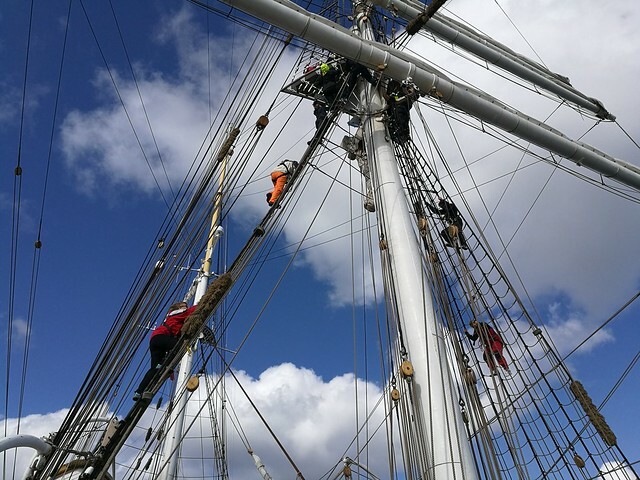 Climbing the rigging turned out to be the most popular activity during the voyage. 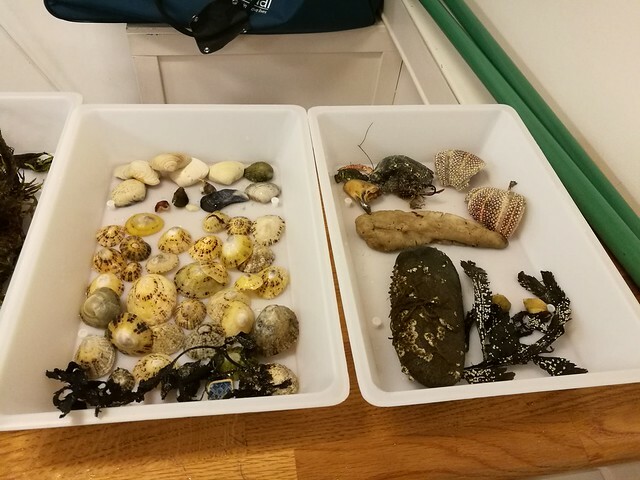 In the Shetland islands, we managed to collect several interesting samples from a beach nearby St. Ninians Isle and studied the species together with the high school students. The many differences and similarities between the Baltic Sea and the North Sea were also discussed. We sailed home in favorable wind conditions. Many oil platforms were seen in the horizon. Also, jellyfish, a baskin shark, a dolphin and three orcas were spotted during the voyage!  Alas, the voyage has to end sometime, but new plans for collaboration have already arisen and hopefully we’ll sail together again!